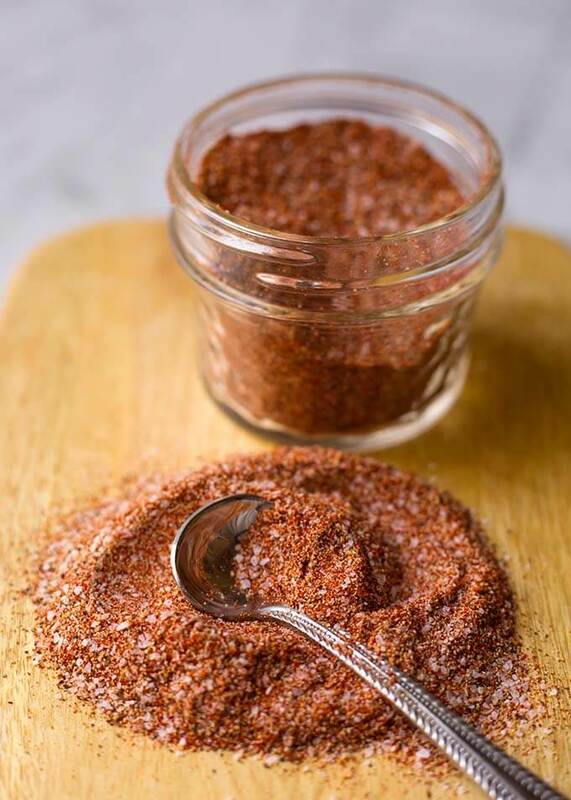 Baked Chicken Spice Rub is the perfect blend of spices to give great flavor to those boring boneless/skinless chicken breasts. This chicken seasoning blend is made from typical spices that you probably already have, and it totally transforms chicken! If you’re like me, you probably have tried chicken breasts a million different ways. Sometimes though, you just want a nicely seasoned baked chicken breast that has good flavor, and isn’t too complicated to make. We eat lots of boneless/skinless chicken breasts at our house. 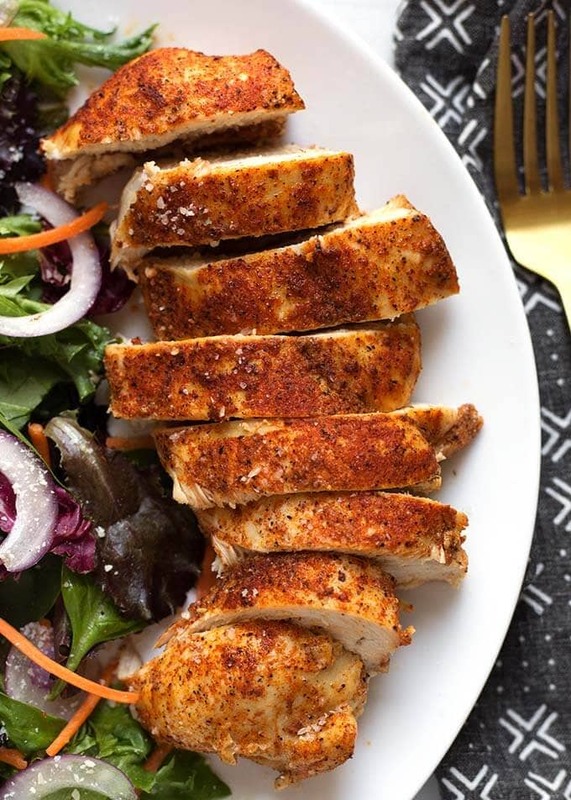 After perfecting the cooking method to get nice, juicy chicken breasts, I wanted a simple Baked Chicken Spice Rub that I could keep in the pantry. You know, just rub it on and pop the chicken in the oven and move on with dinner! After a few variations, Paul and I decided we liked this version of Baked Chicken Spice Rub the most out of all of them. So I’m sharing it with you! I think the smoked paprika really makes it. If you don’t like smoked paprika, just use regular paprika. 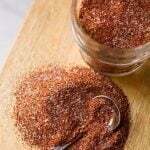 You should have enough from this recipe of Baked Chicken Spice Rub for 16 average sized skinless/boneless chicken breasts. 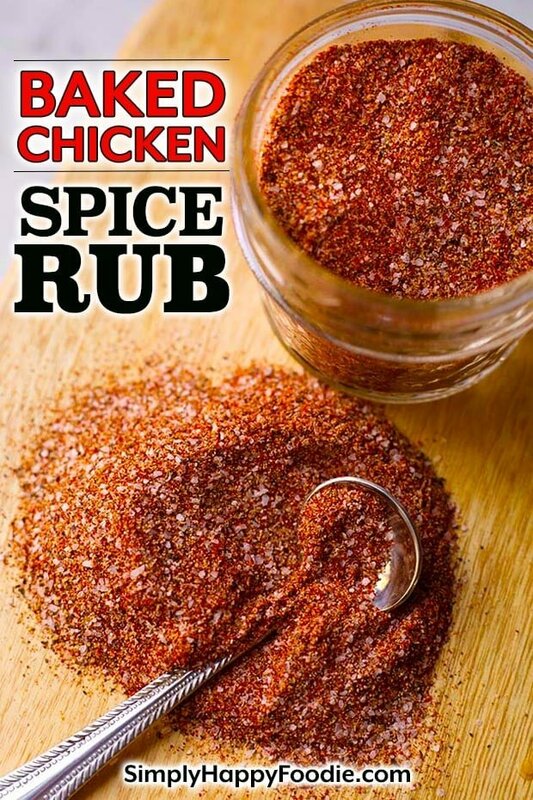 You can use this chicken spice rub on chicken legs or thighs as well as chicken breasts. It is also delicious on pork. Thank you for visiting my blog today! If you have tried one of my recipes, please leave a review below. Take care! 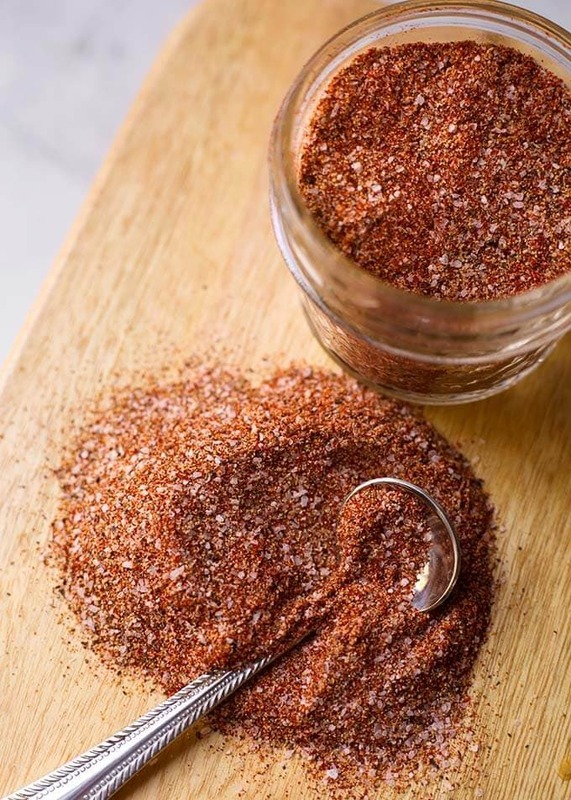 Baked Chicken Spice Rub is the perfect blend of spices to give great flavor to those boring boneless/skinless chicken breasts. Mix the spices together and store in a mason jar. Recipe makes 1/2 cup, which fits in a 4 oz jar. Use 1 Tbsp of the spice rub for 2 average sized (8 oz) chicken breasts.